With thanks to Raymond Atkinson for providing the scan and names, and Susan Currie and David Briggs for additional names. Click the image to see a larger version. Judy Millward Joan Hudson Janet Sugden Susan Currie Joyce Lambert Kathleen Hardcastle Carole Greenwood Ellen Morrison Lydia Morrison Christine Pearce Judith Pearce Anita Harper? John Riley was a twin to Peter who isn't on the photo. Margaret Kellet's family emigrated to Australia. 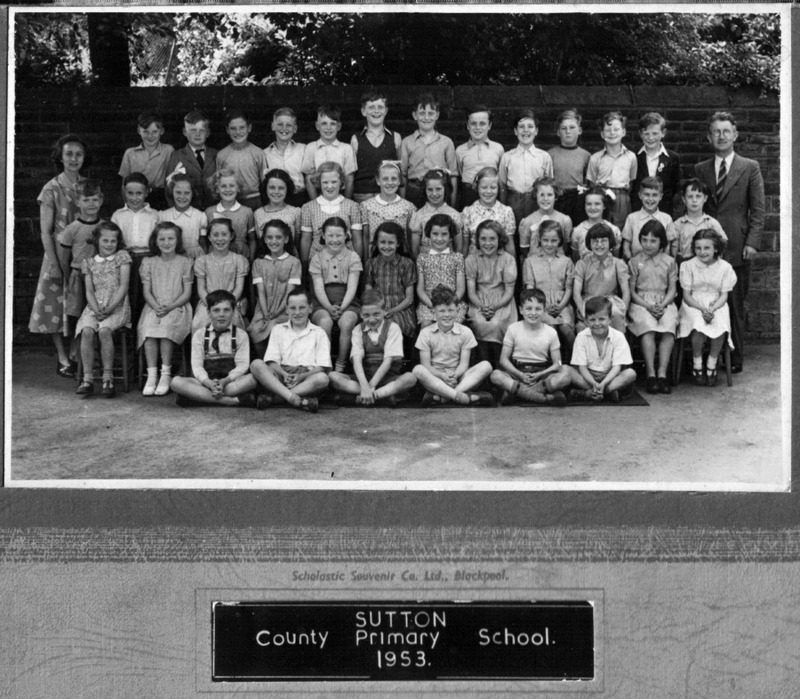 Can Raymond remember that whenever someone important called to Stanley Bell's class all the sets of twins had to stand up - I think we had about five sets. Also in the same class we had taken an exam. Raymond sat next to David Briggs and I was next to someone. Mr Bell had the four of us stand up after he marked the exam to say wasn't it strange how the four of us had submitted the same papers!